Hardwood flooring has always been an elegant alternative to tile, carpet and laminate. It stands the test of time, and like wine, it gets better with age. 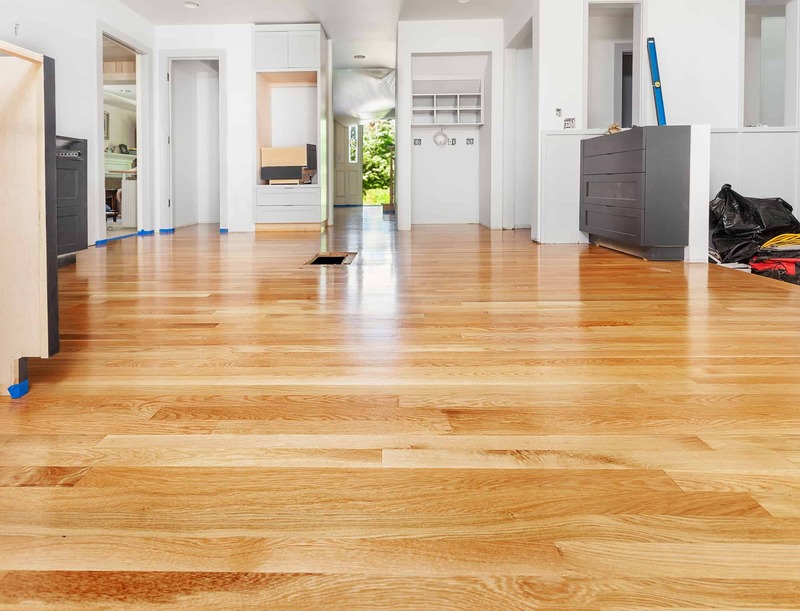 Making the change to hardwood floors is an investment for your home that pays for itself. Bob McGowan’s wood flooring has experts that can help improve the beauty of your home with skilled specialists in wood floor installation. Why should I switch to wood flooring? Wood floors never take away from the value of a home, as a matter of fact, they add to the value. The durability of wood floors are second to none. Wood floors, when maintained, can stand the test of time and outlast any other kind of flooring available. Think about it: have you had 15 year-old-carpets? Were they good? What about the smell? Not a pleasant thought…Now think about your home feeling a bit more elevated and elegant. Wood flooring does just that. Between moisture in the air, spills, and dust buildup, carpet tends to be a breeding ground for allergens and bacteria. Carpet absorbs airborne allergens and along with regular elements that end up in the home. Your carpets are like a sponge for your flooring. Spills and moisture can cause smells to breed in your carpet and spills can permanently change not only the color, but the look of your carpet as well/ Outside dirt and dust, moisture, and allergens are being drawn to your carpet daily. What can buildup do to your body and your overall quality of living? Wood floors do not absorb anything from the air. As a matter of fact, dust can collect on the ground, so keeping it clean is very easy. Once you “dust” your wood floor, you are good to go! Once you decide to get a hardwood flooring installation, you will want to keep your floors protected. It keeps your home looking good, and it saves you money in the long-run. When it comes to protecting your wood finishes, the doormat is your friend! Nothing ruins the finish faster than dirt that gets trapped under our shoes from the outside. Keep a doormat at your entrance, and your floors will stay prettier, longer. As much as we love our pets, their claws are a wood floor killer. Keeping our pets’ nails and claws clipped and short keep your floors from scratching. Another way to prevent your floors from scratching is by putting pads under your furniture. Things slip and slide and that is a no-no for your new floors. Not protecting the bottom of your furniture will scratch your floor, and you’ll need to have it refinished sooner. Keeping your wood floors clean not only looks good, but it’s good for the floor as well. Regular vacuuming and “mopping” will keep your floors clean. Using a damp, microfiber pad to clean the floor is all you need to keep your floor looking bright and clean. Be careful of what wood cleaners you use. When they contain ammonia, vinegar, wax, or oil, they will eventually strip the wax of the finish. Rule of thumb: spray your wood cleaner on a mirror. If there is residue, it’s not a good idea to use on your floor. Hardwood floor installation is not a big job. It doesn’t take too long depending on the size of the room. Maintaining your hardwood floors is not only easy, but it will ensure the longevity of your floors for years and years. For Hardwood flooring installation experts, Bob McGowan’s team will happily serve you and your family the floors of your dreams.